Never judge a book by its cover. And in the same spirit never judge an F1 season by the top level outcome. Force India last year on the face of it re-asserted itself as the clear best of the midfield bunch, in so doing equaling its best ever constructors' table finish of sixth. Yet the feeling emanating from the Silverstone camp at the end of it all was one of lingering regret, as but for a few matters - some within its control; many not - it could have been better. The considerable scalp of McLaren's might have been its too. Why? Well as Mark Hughes noted in Autocourse, Force India's 2013 experience was that of a 'conscientious pupil who had done all of his exam preparation, only for the syllabus to be changed halfway through the exam itself'. The team in Technical Director Andy Green's words put 'a huge effort' into ensuring the car had gentle tyre usage given what was known about the delicate nature of the season's Pirelli product, and this brought its rewards in the first part of the year. After the Silverstone round Force India sat pretty in fifth in the constructors' table and did so with a clear 59-37 lead on McLaren, despite missing out on even more points via Adrian Sutil puncturing a tyre against Felipe Massa during Bahrain's lap one and both cars dropping out with wheel problems in Malaysia. But as we also know, for a few reasons after Silverstone everything changed, rendering the team's previous work on the tyres largely useless. By this time too the team had shifted a lot of resource to focussing on the radical 2014 regulation changes, and it rather confused itself in response to the here and now changes too: apparently the warm conditions at Silverstone in the young drivers' test as well as the track's unusual characteristics gave the team a bum steer about the behaviour of the revised rubber, while the squad hindered itself further with a few subsequent blind alley set up changes. A mini recovery was made in the final few races of the year but by this point McLaren was but a distant speck on the horizon. Yet it looks now that finally the team is getting some gain as a result of the pain it endured in the latter half of last season. 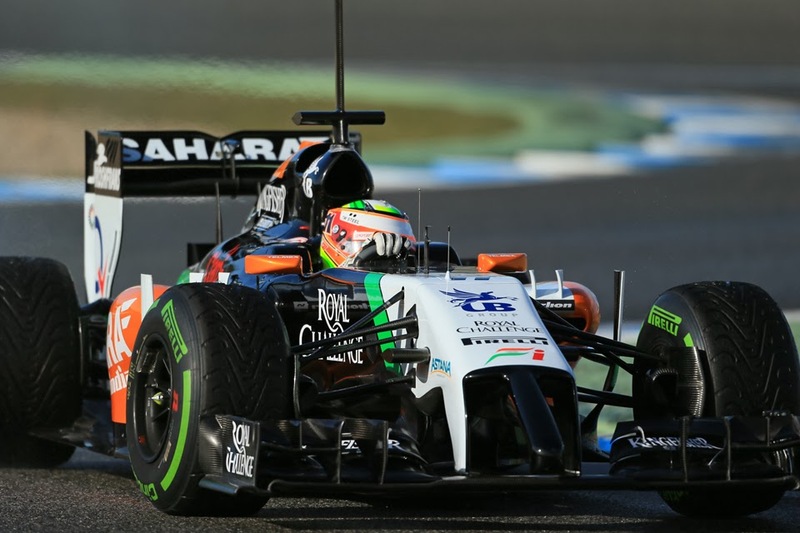 The early switch of focus to 2014 appears to have had its effect with the VJM07 for this year, a car that gives the impression of being business-like and well-designed; one that handles well on track and is possessed with good traction. Possibly related to this it like its predecessor looks to be gentle on the tyres too, evidenced by is often improving on its time on the second lap of a stint compared with the first. Even with Pirelli keeping things further from the edge this year this will be a benefit. And of course, the Force India is one of the boats that has been lifted by the Mercedes power unit rising tide. This also is the first year of a technical tie-up with Mercedes (rather than McLaren) more generally, part of what Deputy Team Principal Bob Fernley calls the start of a 'new five-year programme'. Whatever is the case, given how the Silver Arrows are flying right now teaming up with them cannot be a bad thing. Early in testing though it appeared the VJM07 was the least well-prepared of all of the Merc runners. Almost alone of the four it did little running in the first three Jerez days and appeared further behind the others in its programme for much of the duration. Even with testing over its total mileage lags behind its three similarly-powered rivals. But by the time the 12 days were done Force India appeared to have licked such reliability problems in large part, and frequently was showing handy pace too: Sergio Perez topping the times on the first two days of the Bahrain get together, which followed on from Nico Hulkenberg similarly topping the charts during the first Bahrain test's day one. All of this should have a few implications. The expectation is that Force India at the very least will start the season with a par score being both cars in the top ten - the most optimistic assessments has its machine as the second best out there behind only the imperious Mercedes works team. Healthy points hauls early in the campaign can therefore be expected, and if achieved will likely have the auxiliary benefit of putting them realistically out of sight in the constructors' fight of some of its nominal rivals such as Sauber and Toro Rosso almost before the campaign has begun (and of course it's this table that the prize money is based on). The team adding to its solitary podium finish - as a result of Giancarlo Fisichella's second place in Spa in 2009 - seems within its grasp too. More generally too we can expect from Force India as always a determined collective of racers that will make the best of what they have and shun outside distractions (in a similar vein to Team Enstone). And its pair of drivers is one that would improve most on the grid - particularly in the case of Nico Hulkenberg who more and more appears one who can rank alongside just about anyone out there right now. Set yourself for an Indian Summer. We all know the one about the Chinese word for 'crisis' being composed of two characters, one signifying 'danger' and the other 'opportunity' (though apparently the claim is fallacious). But the relationship works in the opposite direction too: that opportunities bring their potential dangers and possible crises. And so it is especially in F1: if you get your opportunity you'd better make sure you make good on it, otherwise your stock will sink rather lower than it was when the opportunity came along in the first place. 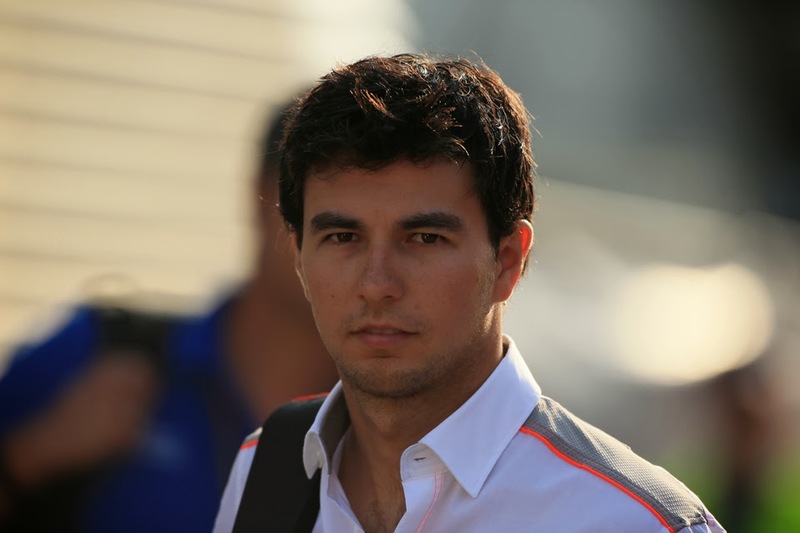 This very narrative played out for Sergio Perez in 2013, who had his Opportunity Knocks moment at McLaren 12 months ago only for his employers to end the relationship after but a season; thus leaving Perez now to try to piece his F1 career back together. Perez got the move at an opportune moment: the vacancy opening days after he'd sailed through the field to finish second in the 2012 Italian round, which in itself followed on from two other podium runs that year. But while certainly Checo converted these in fine style, a few wondered the extent that each had come in peculiar circumstances. Some (including a few in his own team) wondered too about his consistency and tendency to get the most of the car more generally. The Woking move further had a touch of the gunshot wedding about it, of McLaren making a snap, ill-considered, judgement having been left floundering by Lewis Hamilton's unexpected decision to leave. And such doubts came flooding forth in 2013 as, while Checo's McLaren year was never awful, if never quite took off: not starting well and rather flapping around from there. Again his consistency was questionable, both from race-to-race and within races - indeed it was a phase of the Abu Dhabi race wherein his pace dropped off without explanation that resulted in McLaren finally resolving to drop him. And while wavering form is to be excepted from a young charge, McLaren too surmised that even his high points weren't really that high. Both his behaviour with other cars around and his handling of the tyres had a one-extreme-to-another quality. Force India however decided to grab Perez as he plummeted from the McLaren third-storey window, calculating that his abilities plus his commercial/financial offering (two Mexican sponsors - Roshfrans and Claro - have since appeared on the car, while Autosport has quoted the figure of 15 million Euros) added up to more than incumbent Paul di Resta. The team reckons too it has got a driver improved by his McLaren year despite the difficulties, both via the experience of operating within a top-line team as well as benefiting from the tutoring on offer there. And on the face of it, Perez did improve during his year in Woking. In the second part of the year he at least started to out qualify team mate Jenson Button with regularity (doing so seven times in the final nine rounds), as well as he managed to more than double his points total from 23 to 49 in the final four races. His Austin weekend was especially strong. While this year he's looked refined out on track in the VJM07 in testing: an observing Peter Windsor noted in the final Bahrain test his 'shock' that Perez 'looked as good as anyone out there...it's the best I've ever seen Sergio Perez drive...this guy looked absolutely superb...brilliant'. And, to return to the crisis-opportunity maxim, while having Nico Hulkenberg as a yardstick will be a grand challenge there's also an opportunity to, from getting close to the Hulk or even to beat him on occasion, repair much of the Woking-induced damage to his reputation. But - even though his association with pesos means the sport isn't going to shun him any time soon - it feels a lot like he needs it. All at Force India must have had to pinch themselves from time to time this off-season. The team after all had been able to recruit a driver who increasingly is considered among the very best and most complete in contemporary F1, but also one that is somehow - unfathomably - passed over by the top echelon of teams time after time. 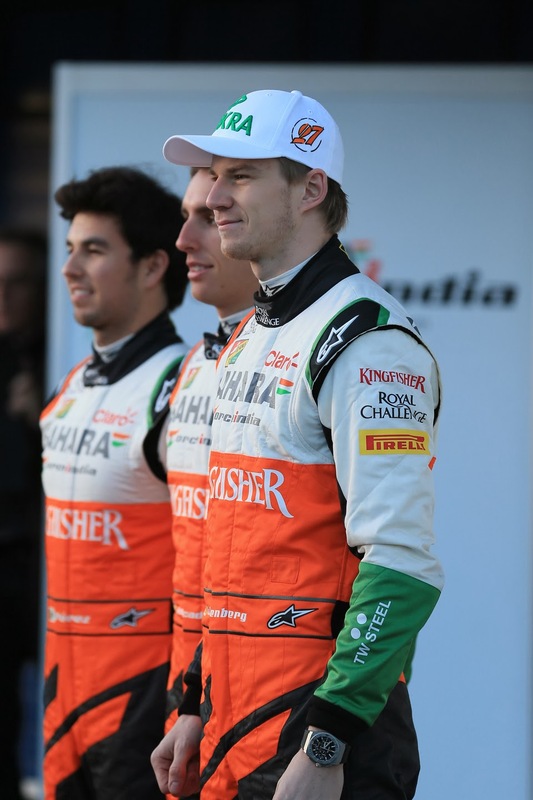 Without any disrespect intended to the Silverstone squad, Nico Hulkenberg really shouldn't be there. And this is no case of those within F1 - armed as they are with much more data, and more gossip, than us do looking on - knowing something that we don't. Instead Hulkenberg's consistent shunning by the big boys is one part circumstance and a few parts an exasperating refusal on the part of leading team principals to understand what's good for them. The circumstance includes matters like Lotus needing Pastor Maldonado's money, and Ferrari being spooked by Alonso's wandering eye and therefore going for the known quantity of Kimi Raikkonen. But also it seems that Hulkenberg's weight, thought to be a particular impediment in the 2014 formula, is counting against him, with McLaren for one apparently put off by this (though some have been cynical enough to suggest the Woking team didn't take Hulk as it didn't want to in effect admit it'd got it wrong in picking Perez over him in late 2012). This I struggle with though - surely whatever the drawback amounts to Hulk's considerable talent would more than compensate? Much more? Such snubbing is no new thing either: that last year was the first time that Hulk had finished in the top 10 of the drivers' table, and that he still awaits his first F1 podium visit, only underlines the chronic nature of his being overlooked. In the last 18 months Nico Hulkenberg has demonstrated persistently that he has all of the attributes of a habitual front-runner and race-winner; perhaps even of a champion. He's fast, consistent, and makes few mistakes. He is polished yet assertive in wheel-to-wheel battle. He is unperturbed by reputation and status, looking every inch that he belongs when running among the sport's most revered names - see the 2012 Brazilian race, as well as in Korea last year. And even over and above these perhaps his brain power utilised behind the wheel is his most impressive asset of all. This was shown most noticeably in that very same Korean race last campaign, when for example he was happy to let Lewis Hamilton pass him at turn one, knowing his adversary would get marbles on his tyres and thus he'd be able to pass him back right away. But here he is, having not been paid by Sauber on time making the apparent side-step for this season back to Force India, for whom he drove in 2012 as a racer and in 2011 as a tester. And irony of ironies it appears, in the immediate term at least, that he actually dodged a bullet in driving a Force India rather than a Lotus. Hulk therefore in Melbourne and in subsequent races should have plenty of opportunities to fight well inside the top ten and bagging his overdue first F1 podium finish doesn't seem an at all fanciful objective. On the more broad level, all Nico Hulkenberg can do is keep doing what he's been doing, and thus further underline the asinine thinking that he's been a victim of; that's up until now denied him his long-deserved promotion. Surely not even in the F1 paddock can such absurdity prevail forever.